Please go to my web page to find out more about me and opt into the monthly newsletter. From that I will draw who will win the 10 free sessions by October 15th. Tell your friends if you want them a chance to win too! I would love a testimonial of course but it is not necessary and totally up to you! 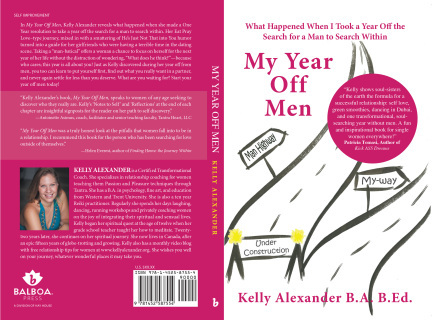 "Kelly Alexander's book, My Year Off Men, speaks to women of any age seeking to discover who they really are. 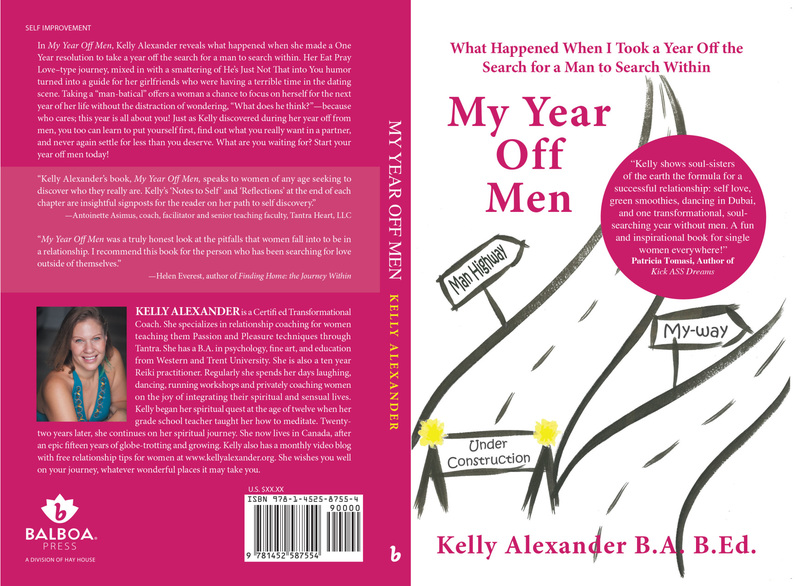 Kelly's "Notes to Self" and "Reflections" at the end of each chapter are insightful signposts for the reader on her path to self discovery." Antoinette Asimus, Coach, Facilitator and Senior Teaching Faculty, Tantra Heart, LLC. Writers Fest, Elora Arts Centre, Elora. October 23rd. 2014. Sensual Solstice Workshop for Women: Pine Dale motor Inn, 101 Ontario Street., Grand Bend, March 23rd,2014. Goderich: Tantric Taster For Women-Book Launch Party - Valentines day 7:30-9:30 (Our Soul Centre, 64 South St, Goderich ) tickets on sale now includes: book, prizes, food and tantra!